The cancer treatment industry has progressively achieved remarkable technological advancement resulting in an ever-expanding array of leading edge solutions, and Donaldson Marphil Medical partners with companies at the forefront of innovation. Donaldson Marphil Medical specializes in Radiation Oncology, offering clinically-proven cancer treatment equipment and medical supplies from select manufacturers. The distinguished reputation of Donaldson Marphil Medical is a testament to its many years of excellence as a reliable distributor to a clientele comprised of Radiation Oncologists, Radiation Therapists, and Medical Physicists. With more than 20 years of experience, we have fostered close relationships with innovative companies that have helped us establish a strong and expanding presence in cancer treatment centers across Canada. 2002 was a turning point for Donaldson Marphil Medical Inc. During that year, we signed three exclusive agreements with companies in radiation oncology for the Canadian market allowing us to cover more departments within the radiation oncology arena. Having a larger portfolio helped us establish ourselves as one of the main Canadian distributors. Therefore, increasing our presence within the radiation oncology community. In 2012 we signed an exclusive agreement with Sun Nuclear Corporation of Melbourne, Florida. This partnership allowed us to bridge the gap between our other product lines and brought us closer to a complete product offering in Radiation Oncology. 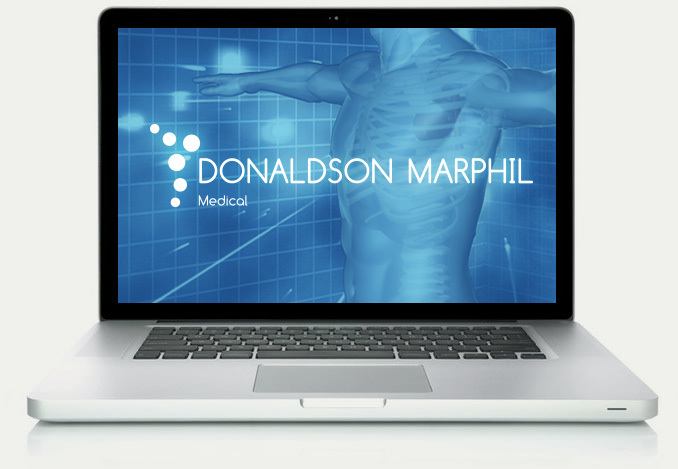 2013 & 2014 are exciting years for Donaldson Marphil Medical Inc. We moved into our new offices and we signed two new exclusive agreements with dynamic and innovative companies which will provide us with more opportunities to tap into new sectors of radiation oncology.